Given the number of green helmets and jackets marking out ride-hailing app drivers amid Jakarta’s notorious traffic, it’s easy to think the digital start-ups have conquered the market once and for all. But behind the cacophony of cheap motorcycle travel, the familiar chugging of Bajaj three-wheelers continues. A battle over market share has seen prices remain remarkably low – a boon for consumers but cause for concern for drivers, known in the feel-good corporate jargon of digital start-ups as “partners”. While guaranteed a standard salary, drivers have complained that the per-kilometre fee is too low and government regulation is needed to keep take-home pay fair. This anxiety is becoming more and more vocal. Drivers from both Go-Jek and Grab teamed-up at the end of March to strike and rally at the Presidential Palace in Jakarta for fairer tariffs and a higher cut. The move was successful. The two players both agreeed to increase the per-kilometre fee, which is currently IDR 1600 (around 16c); however, Grab is already warning drivers they will see a drop in income. 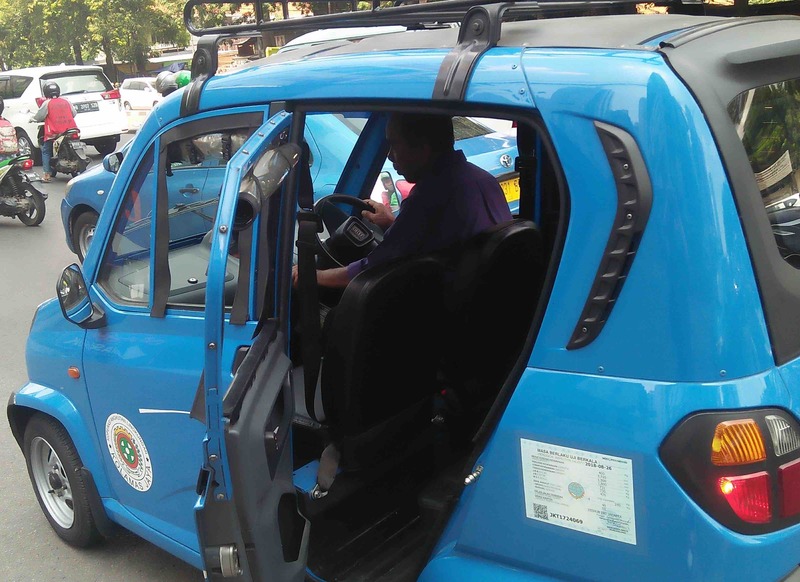 The new-model Bajaj Qute, which began appearing on Jakarta streets in early 2017, can now be found all over central Jakarta. First launched in India in 2012, the quadricycle update on the classic three-wheeler is marketed as a better fit for the demands of the modern metropolis. 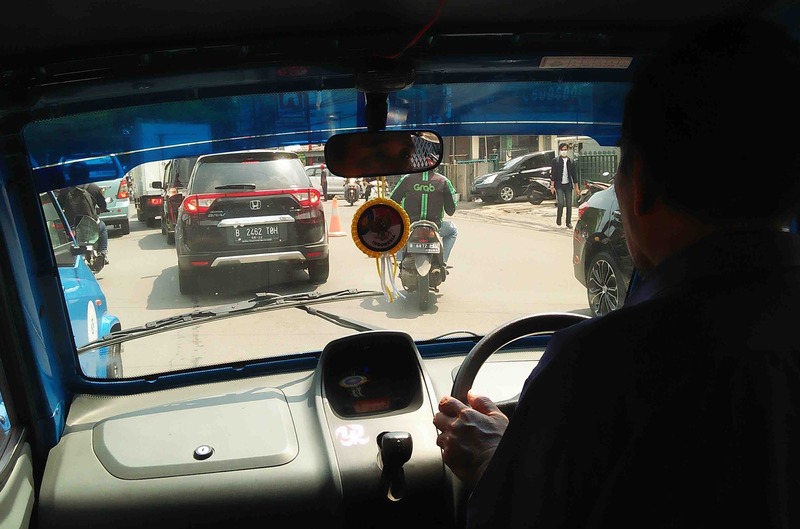 While four wheels makes for a more comfortable ride, the Qute’s small size still allows for plenty of manoeuvring in the Tetris game of Jakarta traffic. Efforts to bring the Bajaj community onto an online platform have failed. 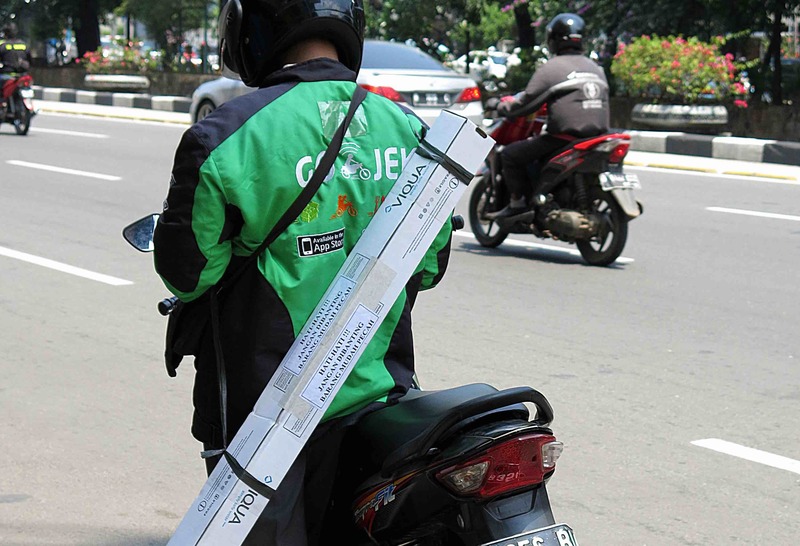 Initially suggested by former Jakarta governor Basuki “Ahok” Tjahaja Purnama during the rise of Go-Jek in 2015, a publicly administered app provided drivers and users with the infrastructure to connect. But it never resolved passenger complaints over pricing, and the app was short-lived. The only Bajaj apps now available in the Google Play store are games in which players can hoon around Jakarta as an orange Bajaj avatar. In retrospect, the failure of this initiative is not surprising. 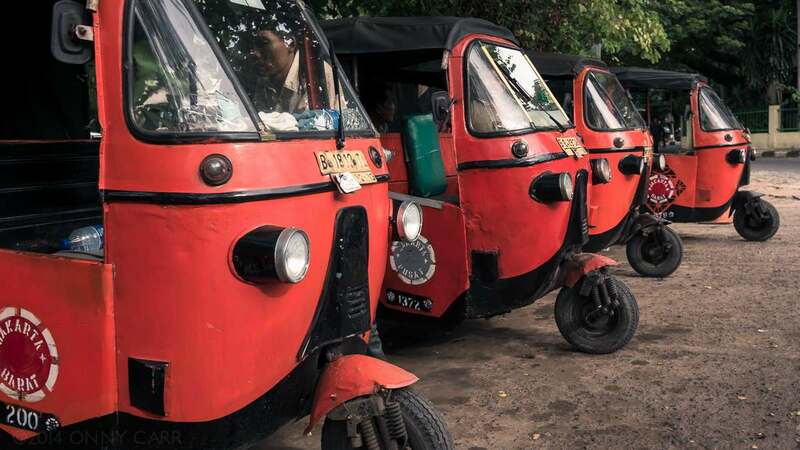 The community of Bajaj drivers have received far more government support than the ojek drivers over the years, including a city-administered cooperation ensuring safety for drivers and riders. This gave drivers more support and autonomy compared to ojek, who were effectively forced to move online or perish. Demand is not going anywhere. For an individual looking to dart across the city in the fastest and cheapest way possible, there’s GoJek and Grab. For two or more people commuting together, or for those concerned about the heat or rain, Grab and GoCar, or even taxis, are expensive but easy options.